Mark Levin Warns Obama: Arrest A Vet At The War Memorial & I’ll Show Up With Half A Million People! 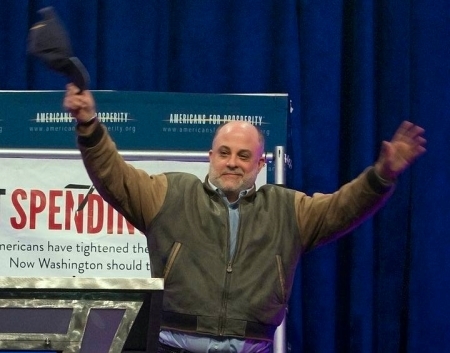 Mark Levin Warns Obama: Arrest A Vet At The War Memorial & I’ll Show Up With : Half A Million People! The Obama Administration is cutting off access to any open air, WWII Memorial that people walk past at all hours of the day and night with no government employees watching. Obama is doing this solely to try to inconvenience WWII vets. You see, if he can block these vets off from a Memorial built to honor them, the hope is that they’ll complain and Republicans will be blamed for Obama’s attempts to hurt them. The first time they tried this, Republican Congressman Steve King distracted the cops and the vets just went to the memorial anyway. Then, when a call was made to confirm that other vets could go, the government told the person that these brave men who risked their lives to save this country would be arrested if they wanted to see a memorial honoring them. It’s shameful. It’s disgraceful. It’s sociopathic and one of America’s biggest talk radio hosts, Mark Levin, has had enough of it. I want to say this loud and clear to the people on Capitol Hill who are listening, to this administration. You lay one damn hand on one of those World War II vets at that memorial and I’ll bring half a million people to that damn memorial! You got that?! I’m sitting here stewing thinking about this — playing these damn games? You’ll ignite a movement in this country like you’ve never seen before! The biker patriot army — veterans from all over the country, every single war and battle in this country, Republican, Democrat, Independent, whatever! I’ll be damned if one president, with his feet up on the desk in the oval office, with a smirk on his face, looking at his golf card…I’ll be damned if this president or anybody else is going to shut down that WWII memorial. Period! These men are in their 80s and 90s. So let me repeat! You lay one hand on one of those men and arrest them for going to their memorial, which they fought for, which was not paid by you dammit, it was paid by the American people — we will come out of every town and city in this nation! We will come out of every county. And both coasts! Both borders! And we will march on Washington against your tyranny! When Barack Obama decided to pick on WWII vets for the pettiest of political reasons, he didn’t make the Republicans look bad, he just made himself look every bit as small, petty, and cruel as his critics already thought him to be.